Download Elegant Fashion eCommerce UI Kit Free PSD. A great eCommerce ui kit packed with many elements which can be used in either a website or application design. Elegant Fashion eCommerce UI Kit Free PSD is designed for eCommerce Brand and Fashion websites, aim of the kit is to speed up your work process and help achieve the more professional and pixel-perfect look. This Free UI kit easily customizable and carefully crafted available for free download. 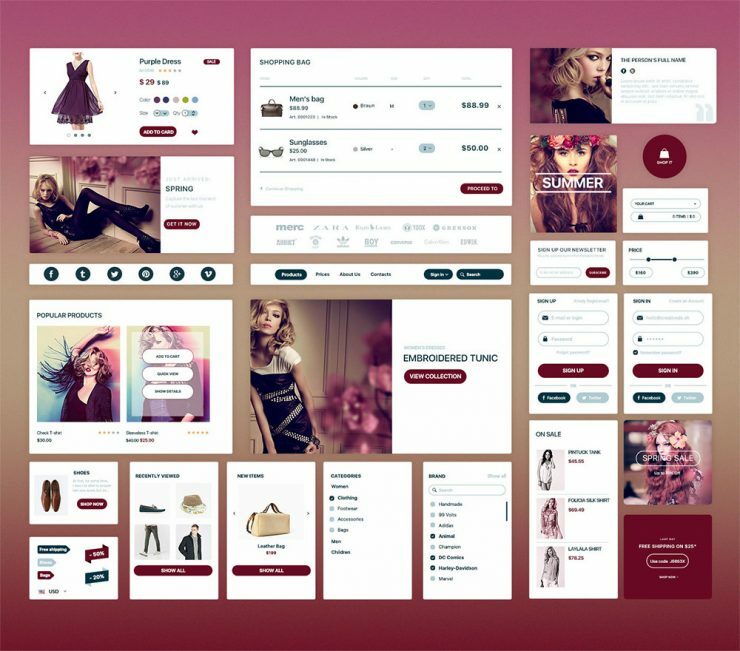 Elegant Fashion eCommerce UI Kit Free PSD is Ready to use and you can modify it according to your projects needs. Hope you like it. Enjoy!